Wouldn't it be wonderful to have a way of occupying the mind whilst freeing the body to heal itself? There is a way, it is called writing therapy and anyone can do it! 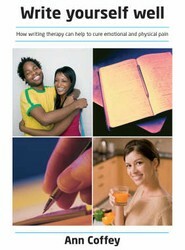 This book shows how writing can be used as a therapy. It takes the reader through various writing activities and shows that the holistic approach of writing therapy does work.